TriMark Digital has been recognized as a Premier Google Partner, an honor that only about 3% of Google Partners in North America are eligible to receive. 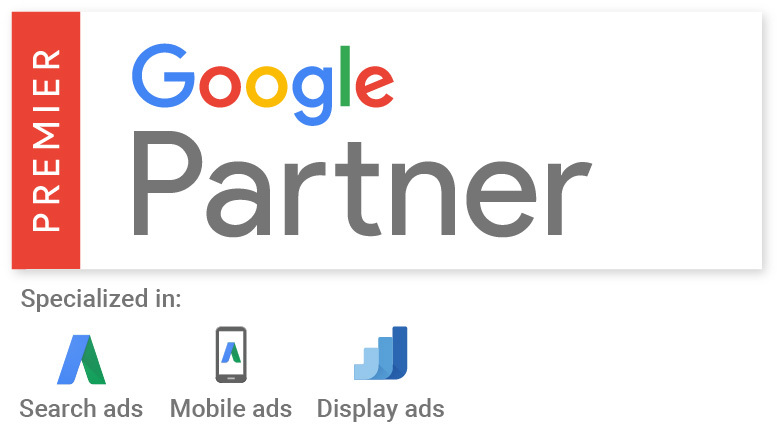 Qualifying for Premier Google Partner status means that TriMark Digital has extensive Google advertising product knowledge and has met all performance criteria for account management. In addition, TriMark Digital has earned certifications in a variety of forms of online advertising, including search, display, and mobile. As a Premier Google Partner, TriMark Digital now has more access to a wide variety of trainings, new product updates, beta testing programs, and direct Google support, as well as the ability to attend executive summits at Google offices throughout the year. Because of this, TriMark Digital’s team is able to test more AdWords features, utilize the support of dedicated Google representatives, gain enhanced knowledge of new Google products, and continue to provide high-level strategies for search, mobile, video, display, and shopping advertising. For more information on how TriMark Digital can improve your online paid advertising strategy, please call 919-785-2275 or visit www.trimarkdigital.com.